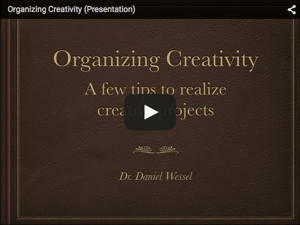 I did a presentation about Organizing Creativity a while ago. It’s essentially a short version of my book, but it addresses just the tip of the iceberg. But still, it gives a nice overview. Be warned though, it was my first attempt of recording an online presentation at home (see this posting) and I’m rubbish without an audience. Plus, I’ve got a very strong German accent (but hey, some people like it — thank you Ania :-)). WoW. Pretty simple things. Probably I have already heard about most of the things described. 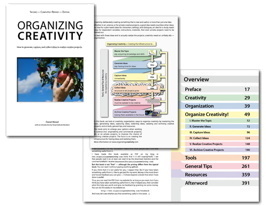 However, organizing the content and describing their relative importance in an interesting is a great task. It’s a blessing for anyone really serious about taking research as career. I wish these things would had been told to us by our supervisors. Very sweet presentation, thank you 🙂 Agree with above comments. Appreciate the personal approach and anecdotal examples.